NEASC accreditation currently being applied for, not yet secured. 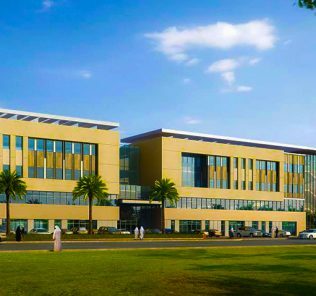 The Creative Science schools have the potential to re-define benchmarks for the effective delivery of the best of Arabic and Western education. Ambition is matched by investment. The test will be in the delivery - and that is still to come. We remain concerned, however at significant lack of information for post-16 provision - something parents need before shortlisting. 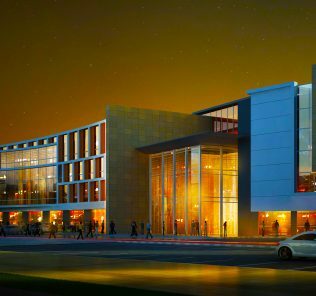 The American School of Creative Science [ASCS] is a new Arabic-American dual curriculum school that has now Phase 1 of its provision in Al Barsha South. Location information can be found here. 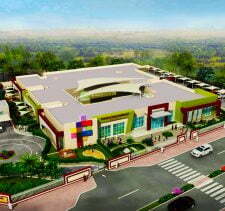 Its position is almost immediately adjacent to GEMS World Academy on a very large 11 acre campus. 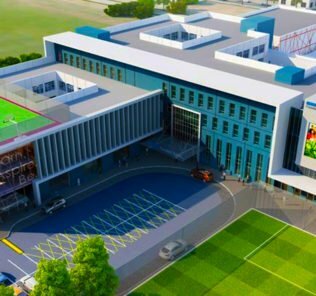 The first phase reached completion with 39 classrooms educating around 1100 students in Grades FS1 to Year 5 between the ages of 4 and 12 years. Eventually the school will offer a full FS all-through education to Year 12. 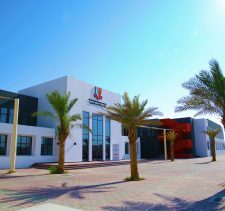 ASCS is one of three new schools at various phases of launch in the Emirate, these building on the model first established by its owners, Bukhatir Education Advancement & Management (Beam), in its two established Sharjah Schools – American School of Creative Science (ASCS) and International School of Creative Science (ISCS). 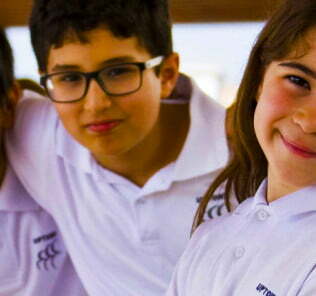 All the Creative Science schools are targeted to Muslim families seeking an education for their children that balances the requirements of Arabic and Western educational approaches. 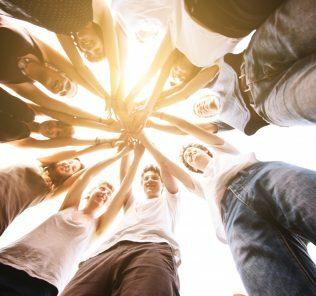 The aim is that students should graduate as well-rounded young men and women with the Western qualifications necessary to continue to university study, whilst also being steeped-in, and appreciative of the richness of the broader Arabic and Muslim cultural and religious contexts integral to their heritage. It should be noted that the High School Diploma, in and of itself, is not sufficient to gain entry into top universities globally. 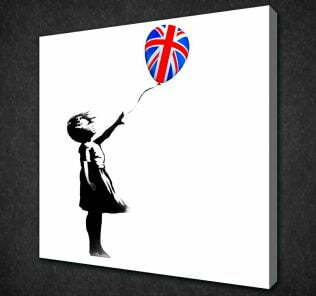 It is pitched at a level for children of age 16 and in the UK system is benchmarked against GCSE, rather than A-level, only. 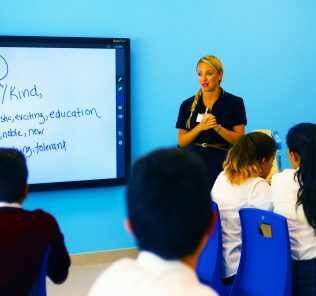 For parents not seeking a US curriculum, BEAM offers parents the alternative choice of dual curriculum British schools also in launch: the School of Creative Science Nad Al Sheba (A Level/MOE) and the International School of Creative Science both offering an IGCSE/A Level founded curriculum. 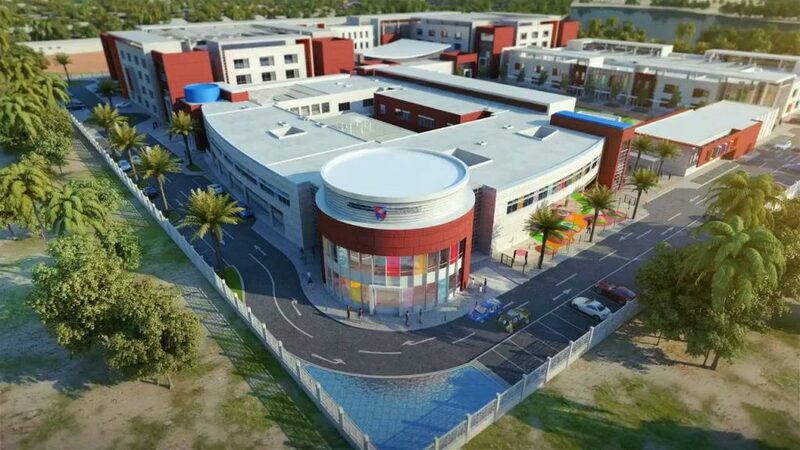 It is worth noting that a number of schools are launching also trying to better balance the meeting of East and West including the Next Generation School, also in Al Barsha. Our launch review can be found here. 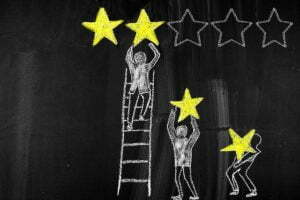 It is far too early to early to provide a meaningful review of the Creative Science Schools. All schools in launch represent a risk, and it important that parents visit each school on their shortlist and really gain a feel for what is on offer – and the school’s potential. Like many schools in launch, significant discounts are on offer, and in this case generously these extend for the first three years at the school. But these ultimately should not we believe distract prospective parents from the the value proposition behind the fees. Our advice with US schools is to read our American Curriculum Guide here. In summary we believe that any US school must satisfy four fundamental requirements. First it must be accredited (something that is now a requirement in Dubai). 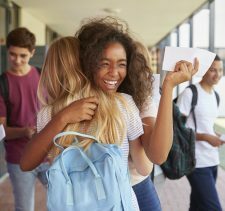 Second, the awarding of a High School Diploma needs underwriting by a recognised US school board – an internal High School Diploma has questionable value without this. 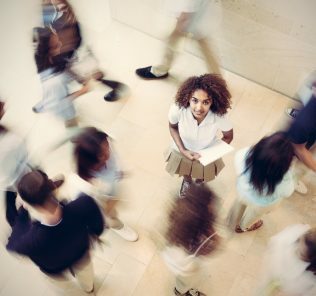 Third, schools must provide Advanced Placement (or alternative provision of the International Baccalaureate Diploma or Career-related Programme) course options for students – for many universities the High School Diploma without these carries little value. Finally, schools need to follow both Common Core and Next Generation Science based curricular to ensure accountability. We understand that ASCS is currently seeking both accreditation and underwriting, but these are not yet in place. 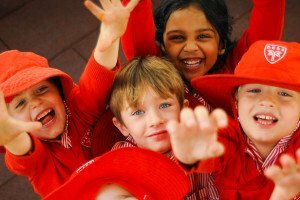 This is understandable given the early stage of the school’s life, but it is imperative that these are secured. Currently the school provides no detail on the exact subject provision at any phase, although it does commit to both Common Core and Next Generation Science standards. There is no clarification on AP course provision and IB provision is firmly discounted. Prospective parents do need to seek clarification in these areas. 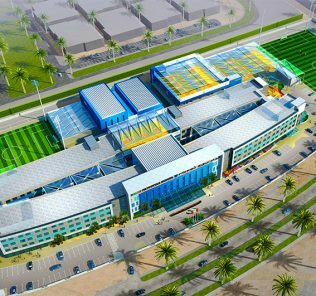 The size of the campus, and the approach adopted at the founding schools in Sharjah, means it is likely that the school will, subject to its popularity, be one of the largest US curriculum based schools in the UAE. We would expect capacity to eventually top 4,000 students – and this is a conservative estimate. There is certainly significant room for expansion. There are benefits that come from a large campus, these direct and indirect. Indirectly there is a significant and valuable potential for large schools to leverage their alumni. 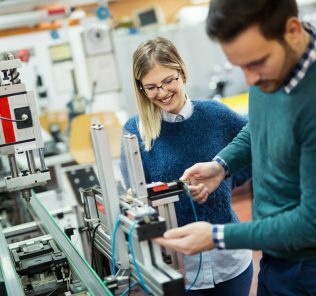 Networks are increasingly critical as students embark on their careers and schools of this scale offer a much broader base of potential contacts. Directly, there is an expectation that larger schools, given their income, will invest in very high quality infrastructure, outstanding teaching staff and significant breadth of resources. They are much better equipped to do this than smaller schools that simply do not have access to the core income that their larger counterparts can access. Expectations are high for the Creative Science schools to deliver here, but it is too early for us to do anything but steer parents to interrogating the school’s plans as it moves to future phases. We plan to revisit our review as the school beds in provision. 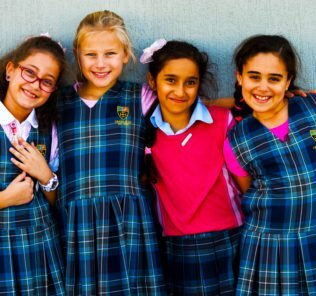 In the interim there is no doubt that there is very considerable demand for schools that can deliver a Western education, with all of the cultural integrity, flair and passion of our Arabic home. Finding the perfect meeting of East and West, and building the bridges needed between the two, is an ambitious and impressive trajectory for any school. It is not an easy task. 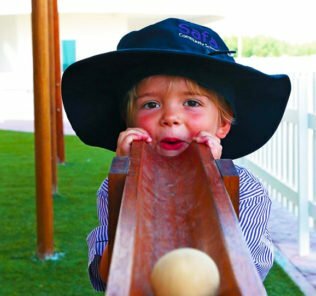 We are certain, however, that this is the genuine intention of all the Creative Science schools – and words, in this case, have been backed by very serious, substantive brick and mortar investment in Dubai. What is needed now, however, is detail to fill in the many gaps. 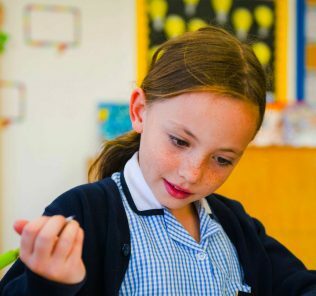 Class sizes, inclusivity, teacher backgrounds and profiles, levels of SEND support, scholarship and bursary programmes, detailed curriculum information, ECA detail and firm accreditation. We need an absolute commitment to, at a minimum, extensive Advanced Placement course options. We need all this and more. In short we need a finished school. Without this, many parents will still take up the opportunity of securing a High School Diploma given the East Meets West curriculum on offer. But we think that, without accreditation and developed internationally benchmarked, globally recognised post 16 qualifications, the offer will be weak. 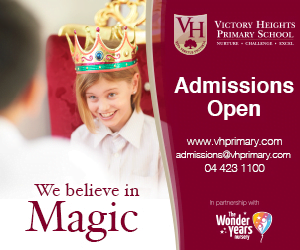 The intention and potential is all here, and the marketing ambition is very impressive – we wish the school well. Prospective parents should note that, as a school in phased launch, scoring and assessment is projected, based on WhichSchoolAdvisor.com data. Hard Hat Tour inspections and comparative school metrics.